In 1899 a legacy of £11,000 was given to the Nottingham Spiritual Aid Society for the purpose of building and endowing a church. This generous bequest came from George Waterall, a chemist with premises at 2 Chapel Bar, Nottingham, following advice given by Canon TB Ferris, Vicar of St Matthew’s. The Society decided to use £6,000 to fund the building of St Aidan’s and provide the other £5,000 for an endowment. But the Society did not undertake any liability to complete the church, and it remains unfinished at the east end to this day. This church was erected in the year of our Lord 1903 by the Nottingham Spiritual Aid Society and Church Extension Fund, with money bequeathed for the purpose by the late George Waterall of the City of Nottingham, chemist. The architects were Robert Evans & Sons of Eldon Chambers, Nottingham, and the builders were Thomas Barlow & Co of Beauvale Road, Wilford Crescent, Nottingham. Building work started from west to east and finished initially in 1905. Then the nave, aisles and two porches were complete. The nave, with five bays, is 84 feet long x 15 feet wide. The Vicar’s vestry was located in the south east corner. Initially all the windows were of plain glass. The external walls are of Bulwell stone with Coxbench facings, the tiles of blue slate. But the exterior of the east end was left unfinished with irregular bricks and stonework to key in when more money became available to build a chancel. This has never materialised. 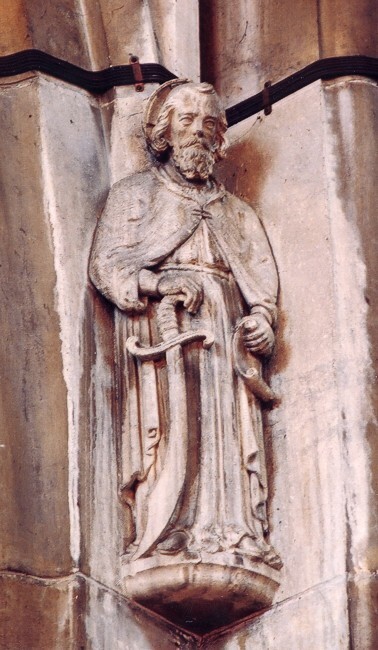 The new church dedicated to St Aidan was erected as a chapel-of-ease to St Leodegarius, Basford. It was consecrated on 21st February 1905 by the Bishop of Southwell, the Rt Rev Sir Edwyn Hoskyns. Among the many dignitaries attending that day was the Rev EM Vaughan, Vicar of St Leodegarius. His wife donated a chancel chair, Dr. Charles Hill gave a vestry table, Miss Seely an altar frontal and cross, and the lectern came from the Rector and Wardens of St Peter’s. The Assignment of a District Chapelry to St Aidan’s was announced in the London Gazette in October 1910. The District was said to be all that part of Basford parish bounded north west by Bulwell, north by the new parish of Bestwood Park, east by the ‘new’ parish of St Paul’s, Daybrook, and partly south east by St John’s, Carrington. In July 1912 land was given nearby for a vicarage - on Tewkesbury Drive - and the Ecclesiastical Commissioners allowed £1,000 towards its construction. It was built of brick in 1913 and consisted of 14 rooms, with 3 lavatories, 3 pantries and cellars. It is now no longer in use as the vicarage. A new light oak pulpit was dedicated as a War Memorial in November 1923. Other improvements in 1923 included new altar rails, a carved screen for the organ, a wooden block floor up to the altar steps, and cutting down and re-fixing the choir stalls. The names of 130 fallen in the Great War were entered into a parchment Book of Remembrance, complete with oak stand, which was dedicated in May 1930. It also contains the names of those who fell in the Second World War. Further changes and restoration took place in 1935. A stained glass window, presented by Mrs Hutchinson, was inserted in the east end wall together with a plain lancet on either side of it and a plain quatrefoil window high above it. 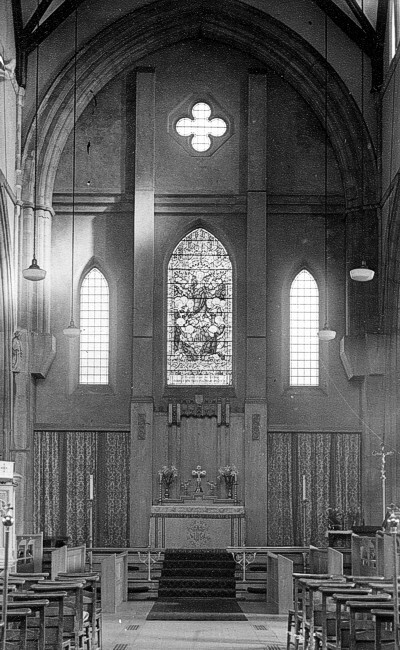 The east end was again improved in 1948 with the addition of an oak reredos behind the main altar, which became the Second World War Memorial. But this was not the final resting place for the reredos. It was one of several changes which took place in the re-ordering of the church in 1965-66, the main aim of its Jubilee celebrations being the completion of the east end. The original church was unfinished so an over-ambitious effort was made to do just that, although an apse did not materialise. Instead stone slabs were laid to form a chancel and sanctuary, with oak screens at the east end of both aisles forming the Side Chapel to the north and vestry and meeting room to the south. The windows were removed from the east end and the Hutchinson window was inserted in the Side Chapel above the reredos, which was also removed from the east end of the nave. 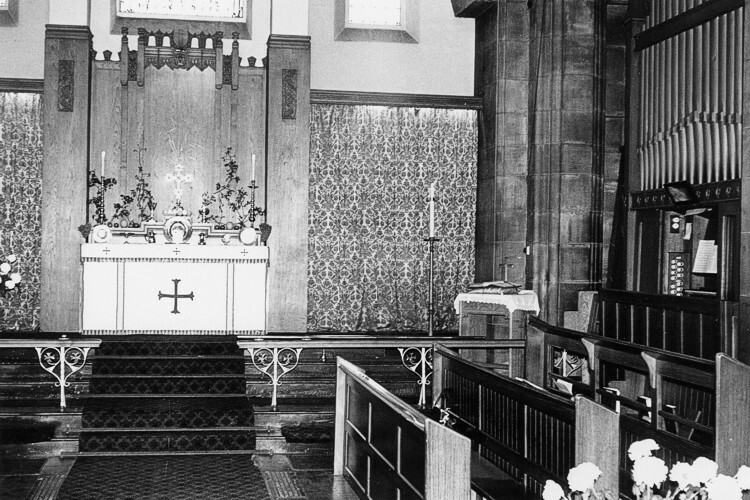 The Side Chapel was completed with a screen formed from wrought iron gates from Basford Hospital, fashioned by Cyril Blades of Hickling Pastures. The organ was also moved from the east end and re-located in its present position over the west porch. 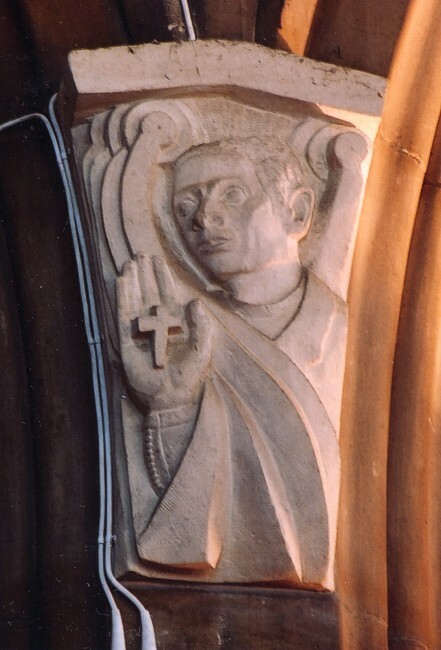 And a baldachino was added to the east wall, to be removed in 2002. The architects for all this work were Eberlin & Partners, in particular Dennis Rosillo. 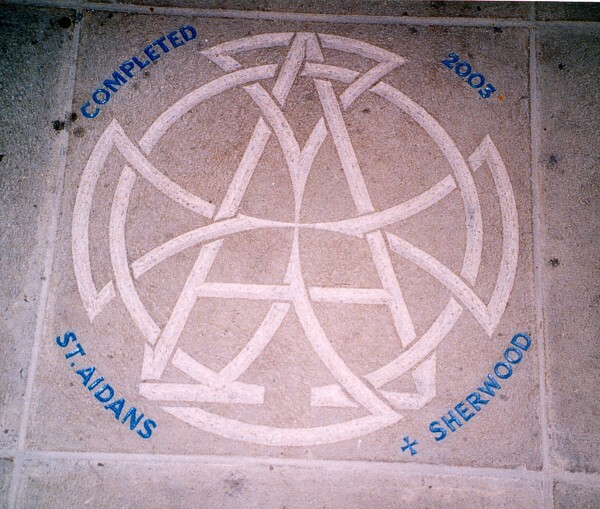 The Dedication of the completed church was on 25th March 1967. 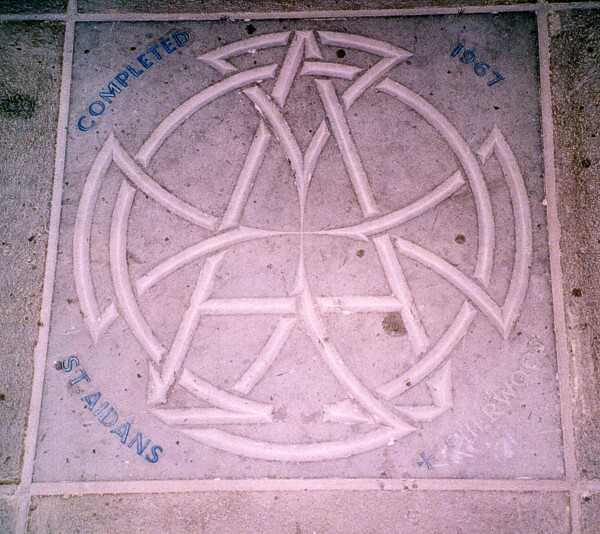 A specially inscribed stone was laid on the floor near the altar. Unfortunately all these changes cost far more than the church was able to raise. It was in debt for many years, a burden that was even harder to bear considering that the aesthetic result of some of the alterations is debatable. Furthermore the building still looks unfinished outside the east end. Financial problems worsened in 1979 when the lead was stolen from the roof. The south porch was converted to a kitchen and WC, which has been invaluable for the popular coffee and lunch days. In 2002 major conservation and maintenance work was organised by the architects Inclusive Design Limited. The east end was strengthened and a neat car park with gates and railings was provided between the church and the bungalows on Lansdowne Road. 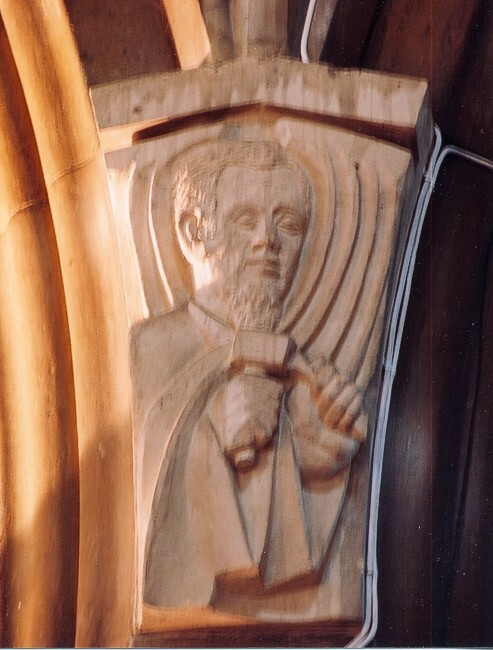 In May 2003 the centenary of the church’s foundation was celebrated with joy and confidence in its future. 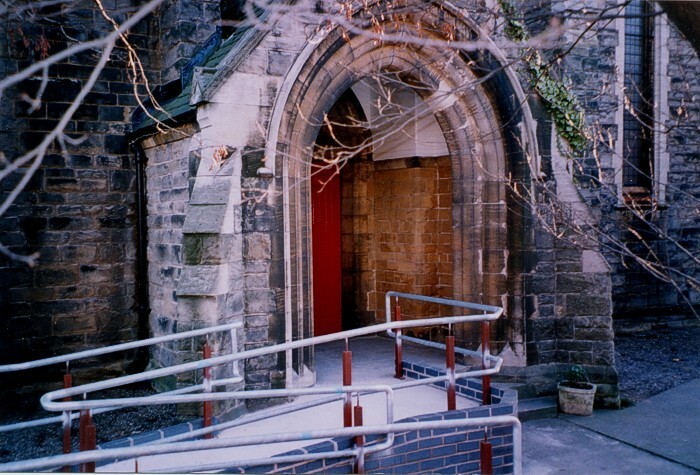 Later in the year disabled access was constructed to the main porch, a necessity but some may consider it an aesthetically unattractive feature. In 1905 there were several other denominations competing with St Aidan’s. There was a long and strong tradition of non-conformity in Basford. 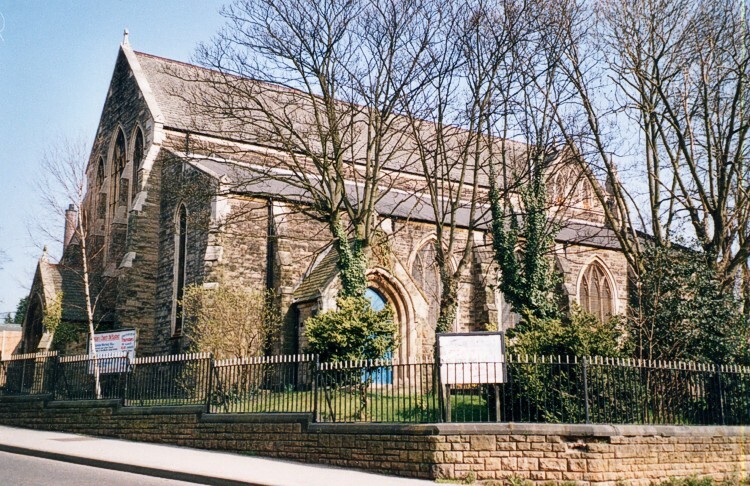 The Methodist New Connexion had a chapel in Basford Hall grounds as early as 1797; it was superseded by the United Methodist Chapel of St John’s on David Lane in 1892, now closed. Not far away from St Aidan’s was the United Methodist Free Church on Park Lane, opened in 1893, now closed. The Wesleyans’ original chapel opened in 1808, succeeded by Basford Lane (now Road) Chapel in 1875, now closed. In New Basford their original chapel on Mount Street was succeeded by a much bigger one (with schools) on High Church Street in 1877, now demolished. The Wesleyan Association had a very popular chapel on Palm Street which was head of a Methodist Free circuit by 1883. It closed in 1938 and the building was demolished in 1963. The Primitive Methodists opened a new chapel on Percy Street in 1904 (following the original one of the 1850s). It merged with other Methodist churches in Old Basford by 1951, but is now a Sikh temple. In New Basford the ‘Prims’ built a large new brick chapel with schools on Rawson Street in 1895. Closed in 1973, it is now the Indian Community Centre. 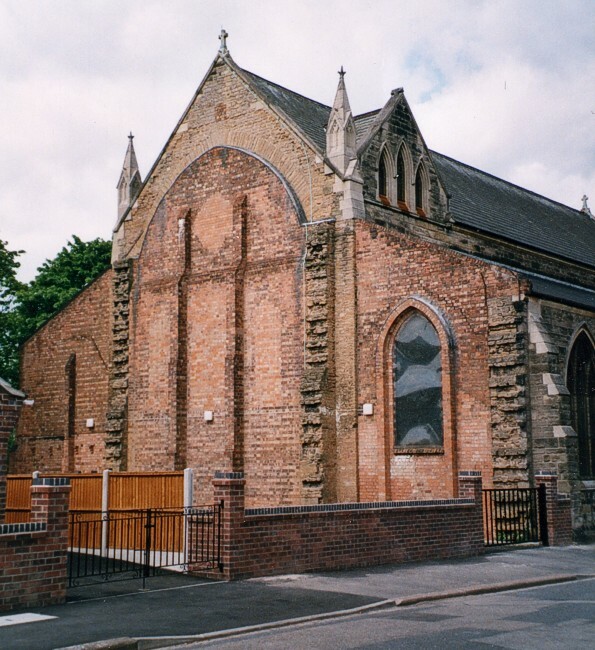 The General Baptists and Scotch Baptists had an early presence in Basford, but the main competition for St Aidan’s came from Queensberry Street Baptist Church, built in 1906. It is separated from St Aidan’s by the width of Blankney Street, and is still flourishing. Surprising as it may seem vandalism is not a recent problem. As early as 1914 there were reports of children damaging the churchyard, gates and porches. Windows were broken in 1919, and in 1941 the Vicar recorded 300 panes of glass broken in ‘the past few years’. In 1947 the Church Hall was damaged by 20 boys. But worst of all was the theft of lead from the roof in 1979. 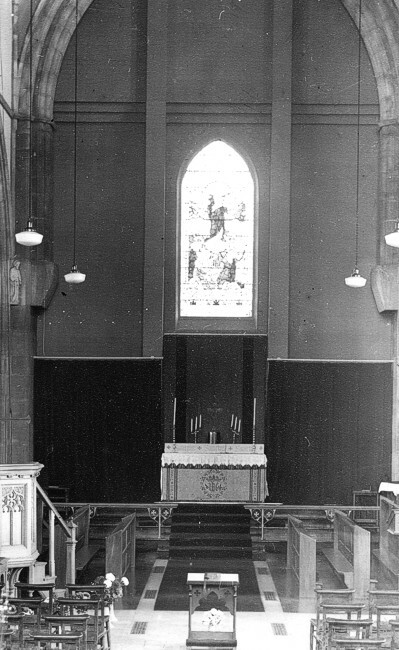 1965-66Major additions and re-arrangement: Side Chapel formed and window and reredos from east end moved there, with oak screens at east end of both aisles. Organ moved to west end. 10 sculptures added by Witold Kawalec.